According to US visa application forms later published in the National Review, 9/11 hijackers Waleed and Wail Alshehri are both issued with new passports on this day. [US Department of State, 10/24/2000; US Department of State, 10/24/2000] The Alshehris, who are brothers, have a family member in the Saudi passport office, and he provides them with the documents. [9/11 Commission, 7/24/2004, pp. 525] However, the 9/11 Commission will be unable to determine whether the family member issues the passports legitimately or illegitimately. [9/11 Commission, 8/21/2004, pp. 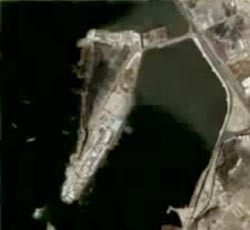 33 ] Apparently, the Alshehris are quite well-connected; several of their brothers work for the Saudi armed forces (a large airbase is a major employer in the region where they grew up), and their uncle is a major in the kingdom’s army and a director of logistics. [Sunday Times (London), 1/27/2002] Three weeks later they will use the passports to obtain tourist visas to the US (see October 24, 2000). Pat Patterson. [Source: Publicity photo]Los Angeles FBI agent Pat Patterson is sent to Yemen to assist in the investigation of the USS Cole bombing (see October 14-Late November, 2000). While there, he spends several evenings with John O’Neill, the special agent in charge of the FBI’s national security division in New York, who is leading the investigation. 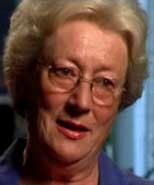 O’Neill is the FBI’s top expert on al-Qaeda and Osama bin Laden. The two men speculate about what bin Laden’s next target might be, and end up considering the World Trade Center. Patterson will later recall: “I thought it was unlikely they would hit a target a second time, but John was convinced of it. He said, ‘No, they definitely want to bring that building down.’ He just had that sense and was insistent about it.” [New York Magazine, 12/17/2001; Weiss, 2003, pp. 291-292 and 321] After leaving the FBI, O’Neill will actually start work as director of security for the World Trade Center shortly before 9/11 (see August 23, 2001). Simulation Involves Planned Suicide Plane Attack - General Richard Myers, currently the vice chairman of the Joint Chiefs of Staff, will later describe the scenario practiced on October 16: “Due to recent arrests involving illegal drug trafficking in Maine, an individual steals a Federal Express plane and plans a suicide attack into the United Nations building in New York City.” In response to the simulated crisis, exercise participants follow hijack checklists, exercise command and control, and coordinate with external agencies. 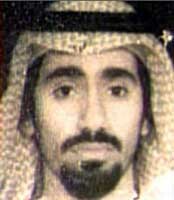 9/11 hijacker Hamza Alghamdi obtains a US visa in Saudi Arabia. His application is incomplete, as he lists his occupation as student but fails to give his school’s address. It is also possible, but not certain, that he presents a passport containing fraudulent travel stamps associated with al-Qaeda. However, this is not recognized. He is not interviewed. 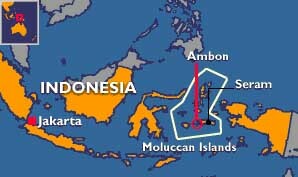 The place in which the visa is issued is uncertain. The 9/11 Commission’s Terrorist Travel monograph will say that the visa was issued in Riyadh, but then say that the consular officer that issued the visa “told us that because of the workload in Jeddah, he rarely had time to thumb through passports.” [9/11 Commission, 8/21/2004, pp. 14 ] A stipulation about the hijackers submitted as evidence at the trial of Zacarias Moussaoui will say that the visa was issued in Jeddah. [US District Court for the Eastern District of Virginia, Alexandria Division, 7/31/2006, pp. 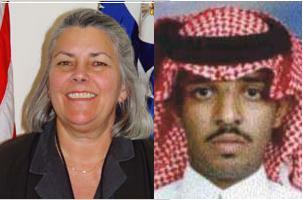 32 ] A General Accountability Office review of the hijackers’ visas will say that the visa was issued in Riyadh. [United States General Accounting Office, 10/21/2002, pp. 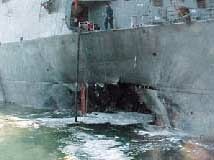 46 ] At least 11 other visas issued to the hijackers were issued by a single consular official in Jeddah (see July 1, 2000). 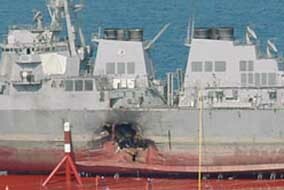 In 2008, the Washington Post will report that shortly after the October 12, 2000 bombing of the USS Cole, US and Yemeni investigators are able to determine that the mastermind of the bombing was al-Qaeda leader Abd al-Rahim al-Nashiri (see November-December 2000). 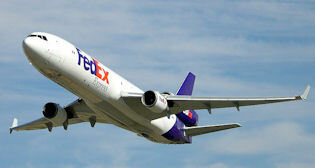 Yemeni authorities insisted that Nashiri had fled the country before the Cole bombing. But an anonymous senior Yemeni official will tell the Post that in fact al-Nashiri was still in the country and Yemeni investigators had located him in a town about 90 miles northwest of the Aden, where the bombing took place. Al-Nashiri spends several months in this town while receiving high-level protection from the government. “We knew where he was, but we could not arrest him,” this official will say. [Washington Post, 5/4/2008] It has separately been reported that several months before the bombing, al-Nashiri was given safe passage through Yemen without needing to be searched, at the orders Yemeni interior Minister Hussein Arab (see April 2000). 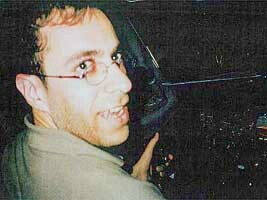 Ahmed Alhaznawi in a video released in 2002. [Source: Al Jazeera]9/11 Hijacker Ahmed Alhaznawi receives a new passport in Saudi Arabia. 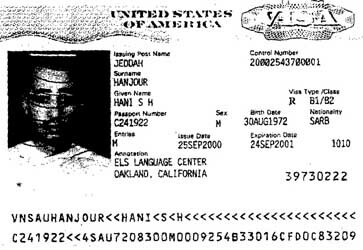 It is unknown exactly when Alhaznawi receives this passport, but he uses it to apply for a US visa on November 12, 2000 (see November 12, 2000), so it must be before that. According to the 9/11 Commission, the passport may contain an “indicator of extremism” that is “associated with al-Qaeda.” However, although it is certain some of the other hijackers have such indicator in their passports, it is not certain that Alhaznawi does. The commission will merely say that there “is reason to believe” his passport may contain such indicator and note that it was “issued in the same Saudi passport office” that issued passports with the indicator to some of the other hijackers. [9/11 Commission, 7/24/2004, pp. 564; 9/11 Commission, 8/21/2004, pp. 9, 15, 33 ] According to author James Bamford, the indicator is a “secret coded indicator, placed there by the Saudi government, warning of a possible terrorist affiliation.” [Bamford, 2008, pp. 58-59] The Saudi government reportedly uses this indicator to track some of the Saudi hijackers before 9/11 “with precision” (see November 2, 2007). 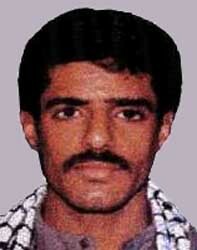 9/11 Hijacker Ahmed Alhaznawi departs Saudi Arabia. The exact date of his departure is unknown, but it must be after he obtains a US visa at the US consulate in Jeddah on November 12 (see November 12, 2000). Although Alhaznawi’s precise destination is unknown, he reportedly returns to Afghanistan for training by early 2001 (see (December 2000-March 2001)) and will also arrive in the United Arab Emirates from Pakistan in early 2001 (see April 11-June 28, 2001). [9/11 Commission, 8/21/2004, pp. 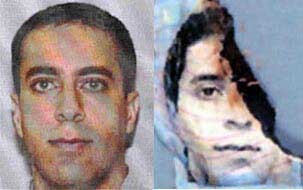 15, 36 ] According to the 9/11 Commission, Alhaznawi may have had a passport containing an indicator of Islamic extremism (see Before November 12, 2000). Such indicators were used by the Saudi authorities to track some of the hijackers before 9/11 (see November 2, 2007). 9/11 hijacker Majeed Moqed obtains a US visa in Riyadh, Saudi Arabia. The application is incomplete, as Moqed claims to be a student, but does not give his alleged school’s address. He is not interviewed. 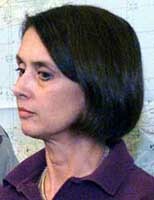 The consular officer that deals with Moqed previously issued a visa to another of the hijackers (see October 23, 2000). [9/11 Commission, 8/21/2004, pp. 14, 16, 38 ] This visa cannot be issued by a consular officer who issues the hijackers with at least 11 visas, as he works in Jeddah, not Riyadh (see July 1, 2000). 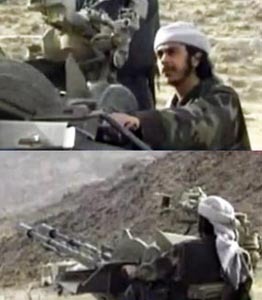 Abdulaziz Alomari in a video released in 2002. [Source: Al Jazeera]9/11 hijacker Abdulaziz Alomari is reported to leave home in Saudi Arabia for Afghanistan at this time. [Saudi Information Agency, 9/11/2002] However, he appears to have already been to Afghanistan, as he obtained a new passport on June 5, made an ATM withdrawal in Karachi, Pakistan, on July 8, and is said to have been seen near Kandahar, Afghanistan, in the summer (see Summer 2000). [US Department of State, 6/18/2001; US District Court for the Eastern District of Virginia, Alexandria Division, 7/31/2006, pp. 50 ] Several of the other hijackers were in Afghanistan in the summer of 2000 and return to Saudi Arabia briefly at this time to obtain US visas (see, for example, September 4, 2000 and October 24, 2000). However, there is no record of Alomari receiving a visa at this time, so it is unclear why he would return to Saudi Arabia. Salem Alhazmi, with whom Alomari will later travel to the US (see April 23-June 29, 2001), also apparently returns to Saudi Arabia at this time, but does not obtain a visa (see November 2000). Alomari finally obtains a US visa in the summer of 2001 (see June 18, 2001). Abdul Rahim Ghulam Rabbani. 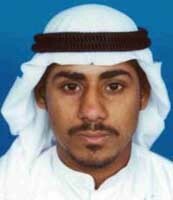 [Source: US Defense Department]Future 9/11 hijacker Ahmed Alghamdi is allegedly arrested in Pakistan and then released. This is according to the Guantanamo file of Abdul Rahim Ghulam Rabbani, who is arrested on September 10, 2002 (see September 10-11, 2002). Rabbani supposedly is running several al-Qaeda safe houses in Karachi, Pakistan, from early 2000 until his arrest. His file states that, according to an unnamed high-ranking al-Qaeda prisoner, Rabbani and Alghamdi are on the road either heading to or from Afghanistan and are arrested by Pakistani police. But Rabbani pays a small bribe and both of them are released. It is unknown if the police know anything about the backgrounds of the two men. [US Department of Defense, 6/9/2008] It is not mentioned when this incident happens, if it indeed happens, but presumably it would be some time between mid-2000 and early 2001, when Alghamdi likely spends time in Pakistan and Afghanistan. Note that this is based on Guantanamo files leaked to the public in 2011 by the non-profit whistleblower group WikiLeaks. There are many doubts about the reliability of the information in the files (see April 24, 2011). 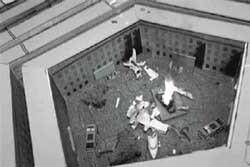 Stills from martyr videos recorded in March 2001. From top to bottom: Ahmed Alhaznawi, Abdulaziz Alomari, Saeed Alghamdi, Wail Alshehri, and Hamza Alghamdi. The backgrounds were digitally inserted later. [Source: Al-Jazeera]Supposedly, all 13 of the “muscle” hijackers record a farewell video before leaving training in Kandahar, Afghanistan, around this time. [CBS News, 10/9/2002] Several will be released after 9/11. 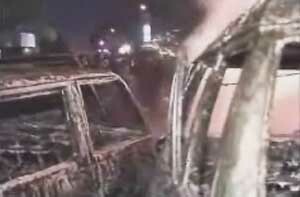 A video of Ahmed Alhaznawi will be shown by the Al Jazeera television network in April 2002. In it, he pledges to give his life to “martyrdom” and swears to send a “bloodied message” to Americans by attacking them in their “heartland” (see April 15, 2002). [Guardian, 4/16/2002] In September 2002, Al Jazeera will show a similar farewell video of Abdulaziz Alomari. [Associated Press, 9/9/2002] Alomari states, “God praise everybody who trained and helped me, namely the leader Sheik Osama bin Laden” (see September 9, 2002). [Washington Post, 9/11/2002] Also in September 2002, some images broadcast on Al Jazeera will suggest that al-Qaeda has martyr videos for nearly all of the 9/11 hijackers (see September 9, 2002). Saeed Alghamdi’s video will be released in September 2003. In it, he will mention that the video was recorded in late December 2000 (see September 12, 2003). 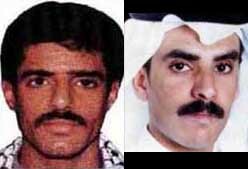 Wail Alshehri and Hamza Alghamdi’s videos will be released in September 2006 (see September 7, 2006). 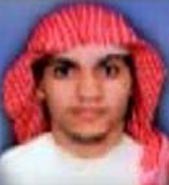 [Associated Press, 9/7/2006] Ahmed Alghamdi’s video will be released in September 2008 (see September 19, 2008). 9/11 hijacker Khalid Almihdhar enters Saudi Arabia, remaining there for about two or three months. He spends some time in Mecca with a cousin. [9/11 Commission, 7/24/2004, pp. 237; 9/11 Commission, 8/21/2004, pp. 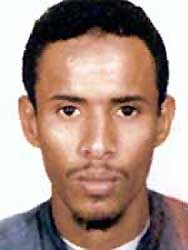 137 ] Almihdhar is on the terrorist watch list there (see 1997), and his passport contains an indicator the Saudi authorities use to track terrorists (see April 6, 1999), so the Saudis presumably register his arrival and departure. In a memo to President Clinton that is also widely distributed in the US intelligence community, CIA Director George Tenet warns: “The next several weeks will bring an increased risk of attacks on our country’s interests from one or more Middle Eastern terrorist groups… The volume of credible threat reporting has grown significantly in the past few months, particularly concerning plans by Osama bin Laden’s organization for new attacks in Europe and the Middle East.… Our most credible information on bin Laden activity suggests his organization is looking at US facilities in the Middle East, especially the Arabian peninsula, in Turkey and Western Europe. Bin Laden’s network is global however and capable of attacks in other regions, including the United States.” [Tenet, 2007, pp. 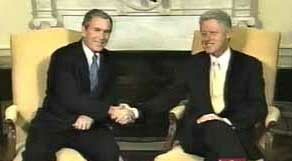 128-129] Just one day later, Clinton will brief incoming President Bush on the al-Qaeda threat (see December 19, 2000). The Washington Post reports, “The United States has quietly begun to align itself with those in the Russian government calling for military action against Afghanistan and has toyed with the idea of a new raid to wipe out Osama bin Laden. Until it backed off under local pressure, it went so far as to explore whether a Central Asian country would permit the use of its territory for such a purpose.” Russia and the US are discussing “what kind of government should replace the Taliban. Thus, while claiming to oppose a military solution to the Afghan problem, the United States is now talking about the overthrow of a regime that controls nearly the entire country, in the hope it can be replaced with a hypothetical government that does not exist even on paper.” [Washington Post, 12/19/2000] It appears that all pre-9/11 plans to invade Afghanistan involve attacking from the north with Russia.